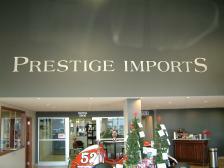 From the moment you step on our lot until the time you drive away in your next car, your buying, and service experience with Prestige Imports West Michigan is our number one priority. We encourage you to use the expertise and resources of our sales and service staff; they are here to help you with all your automotive needs. Call us today at 616-957-4661 to schedule your test drive! 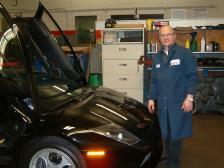 By servicing and selling multiple import brands for more than 30 years, Joe Licari has become West Michigan’s top expert on European, vintage European, Asian, and exotic vehicles. Joe's highly respected knowledge, based on trust and honesty, has built a reputation that is unsurpassed in the automotive community. Always present, feel free to call Joe with any questions or automotive concerns. With a degree in automotive business from Northwood University, Joe Licari's son Phil, has been associated with Prestige Imports since its inception. He follows the same excellent business practices that have been instilled in him by his father Joe. Always present, feel free to call Phil with your automotive needs. Feel free to call Gregg with your service needs for all makes and models of European, Asian, domestic, exotic, and vintage European vehicles. From oil changes to engine rebuilding to required service on Ferrari and Lamborghini, Prestige Imports West Michigan can handle all you automotive service needs. For New Original equipment, Aftermarket, Remanufactured, or Used parts, Brent will find the most economic route to satisfy each individual situation. Feel free to call Brent for all your part needs.